Pakistan Air Force at Dubai airShow 2011 with JF-17 Thunder, K8 and Super Mashak aicraft. 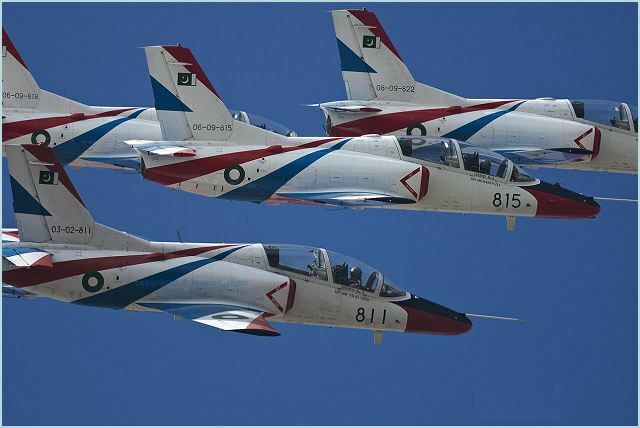 Pakistan Air Force is participating in Dubai Air Show-2011, which was inaugurated by Prime Minister of UAE, Sheikh Muhammad Bin Rashid Al-Makhtum, on Sunday. Air Chief Marshal Rao Qamar Suleman, Chief of the Air Staff, Pakistan Air Force also attended the inaugural ceremony along with a large number of delegations from different countries including Air Chiefs of a number of Air Forces, said a press release. Later, the Air Chief also addressed the press conference regarding the participation of PAF in Air show. JF-17 Thunder, K-8 and Super Mashak aircraft of Pakistan Air Force along with the PAF contingent comprising PAF pilots and technicians are participating in Dubai Air Show 2011. The impressive JF-17 (Thunder) jointly co-developed (by PAF & CATIC), and co-produced by PAC (Pakistan Aeronautical Complex) and CATIC (China Aero-technology Import Export Corporation) has been put up for static as well as aerial display in the Air Show. 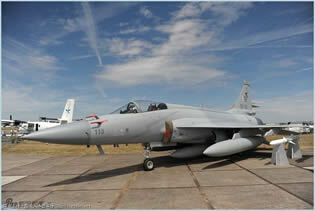 JF-17 made its debut at Farnborough Air Show in 2010, when two JF-17s flew all the way from Pakistan to Farnborough, UK. At Farnborough, the aircraft attracted intense focus of visitors and international media. Four months later in November 10, three JF-17s flew over to China to participate in Zhuhai Air Show, where the aircraft made its first ever aerobatics display. In June 11, three JF-17s participated in aerobatics and static display in 100-years Celebrations of Turkish Air Force. At present, JF-17 aircraft stands prominent in its own class of fighters. In the present environment, when defence budgets are shrinking and Air Forces face difficulties in affording modern combat aircraft, JF-17 offers a highly cost effective solution with cutting edge capabilities. In the shape of JF-17 aircraft, Pakistan Aeronautical Complex and CATIC offer a cost- effective, highly potent, multi-role combat aircraft which is capable of meeting the challenges of present and future Air Power employment. The JF-17 Thunder is an all weather, multi-role, light combat aircraft that has the potential to be the main stay & work horse of any Air Force. The design of JF-17 aircraft is based on modern concepts of aerodynamics. The aircraft is equipped with a digital fly-by-wire flight control system that gives it the agility in all regimes of the operational flight envelope. The JF-17 has a complete glass cockpit, excellent man-machine interface and modern self-protection suite, which enhance combat potential and survivability of the aircraft. The JF-17 is equipped with fourth generation avionics systems, wide range of conventional and smart weapons, long range glide bombs, Beyond Visual Range & short range Air-to-Air missiles, Anti-Ship missile and Air-to-Surface missiles. The aircraft requires remarkably short lengths of runway for take-off & landing, which offers flexibility of aircraft operations at short air strips. Shortly, the aircraft will also have Air-to-Air refuelling capability, which will further enhance its combat potential and employment options. Pakistan Air Force has inducted JF-17 in its fleet and with the co-production in full swing the aircraft are rolling out from Pakistan Aeronautical Complex (PAC) Kamra. The JF-17 Programme has been a success story since its inception in 1998. Developmental work on the aircraft commenced in the year-1999 and detailed design was finalized in September, 2001. 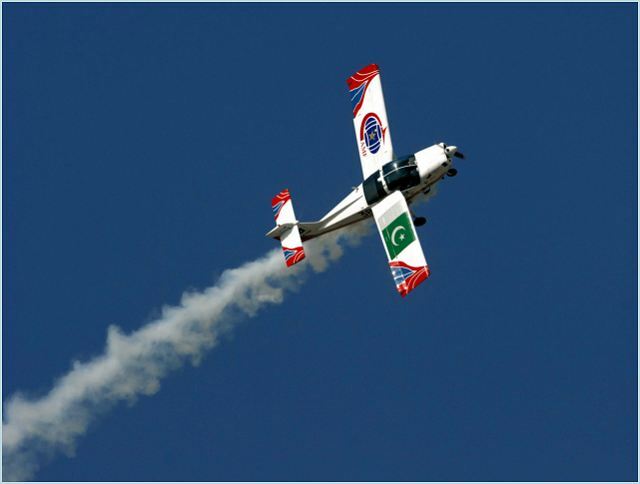 After flight testing, a Small Batch of 08 aircraft was produced in year-2007 and finally serial co-production of the aircraft started in Pakistan in the Year-2009. So far PAF’s two Squadrons have been equipped with JF-17s,while the third is planned to be raised by beginning next year.